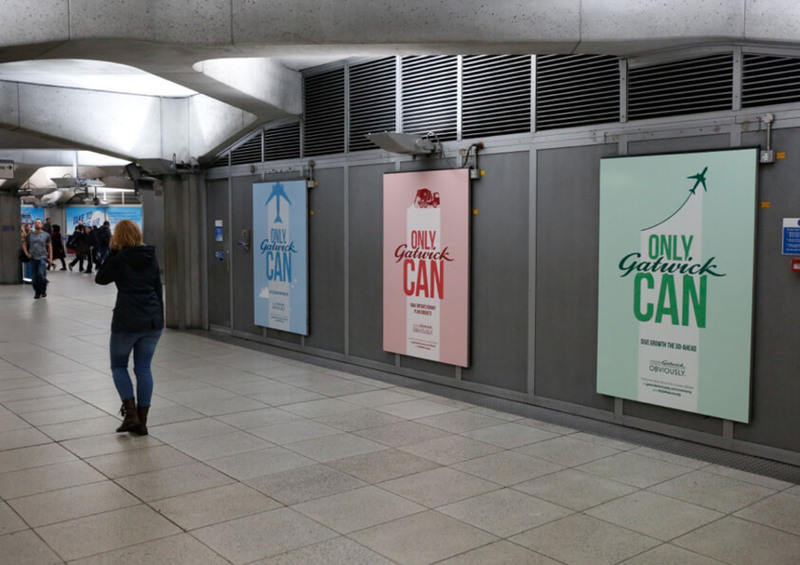 I worked on the Only Gatwick Can campaign with the team at Creature to help develop a look and feel for this phase of the campaign. 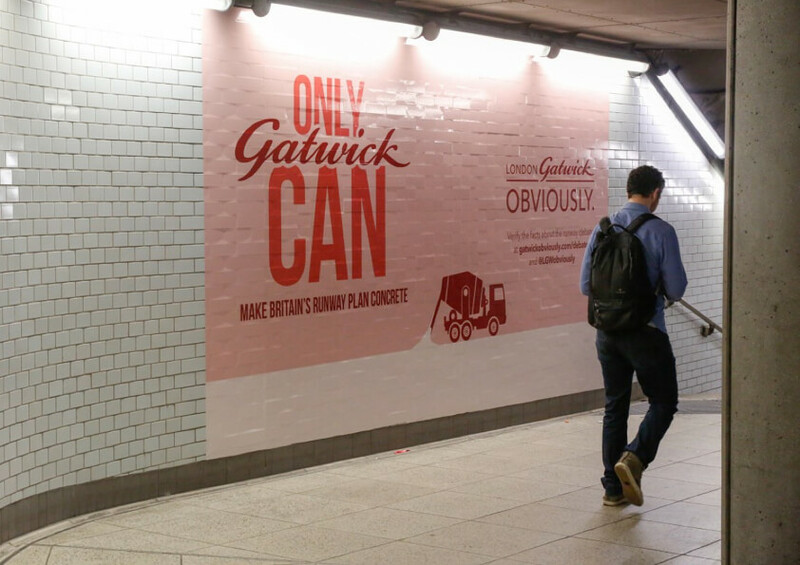 Being a hot topic about which would be the best choice in building a new runway to help expands Londons global travel reach, we created a clean and simple system that showcases the benifits of Gatwick over Heathrow. 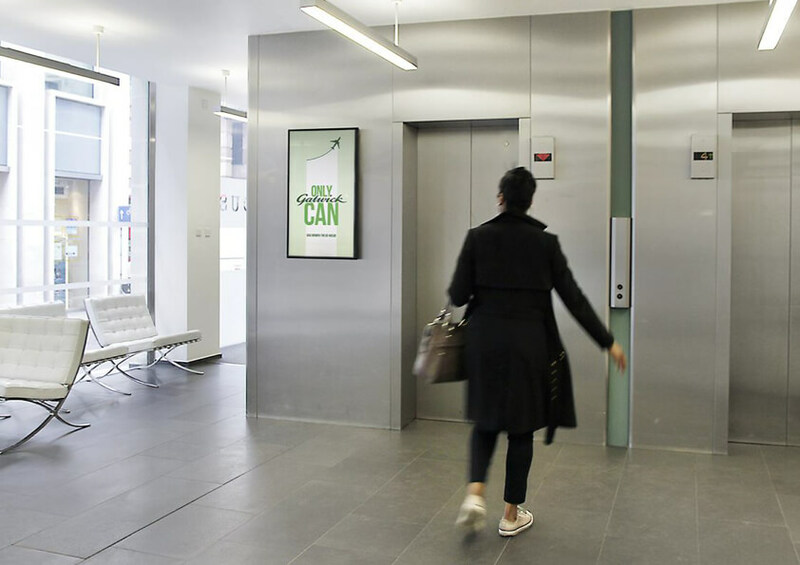 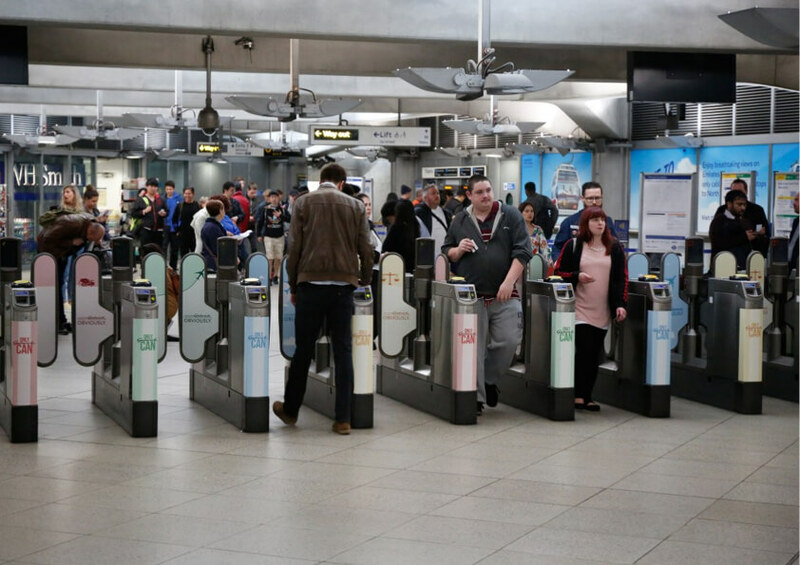 The campaign was set live and included Tube station takeovers in London as well as national press ads, newspaper wraps and digital ads.